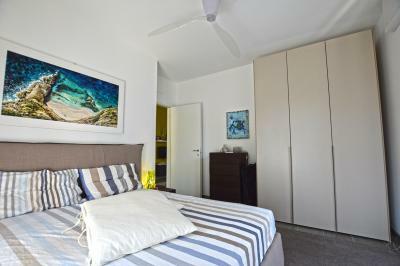 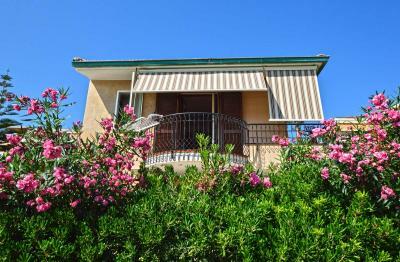 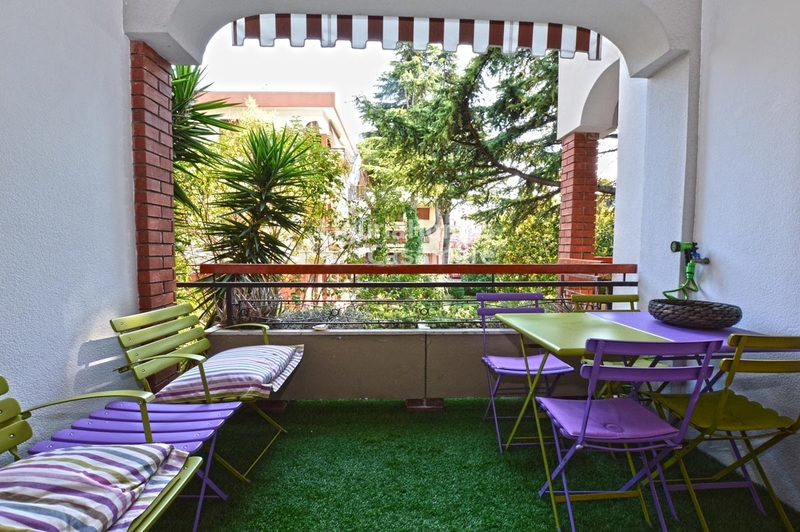 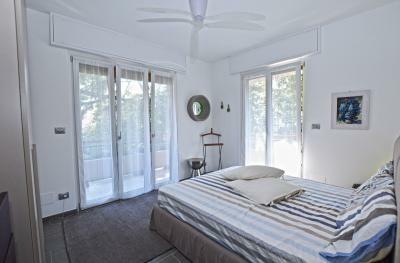 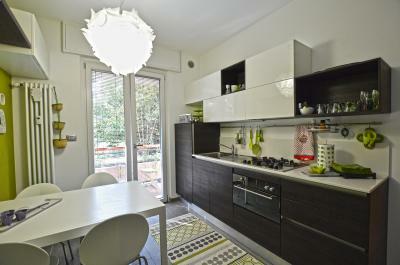 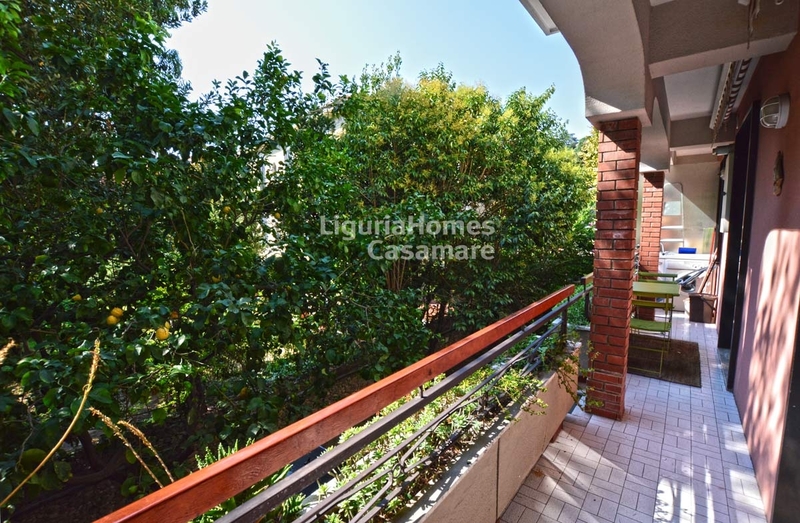 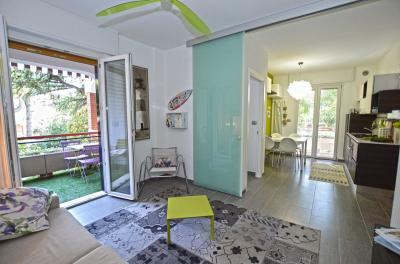 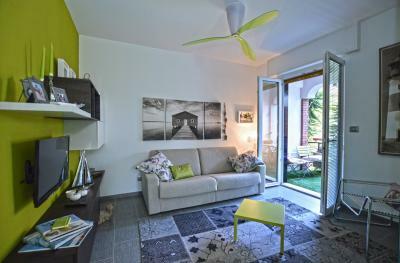 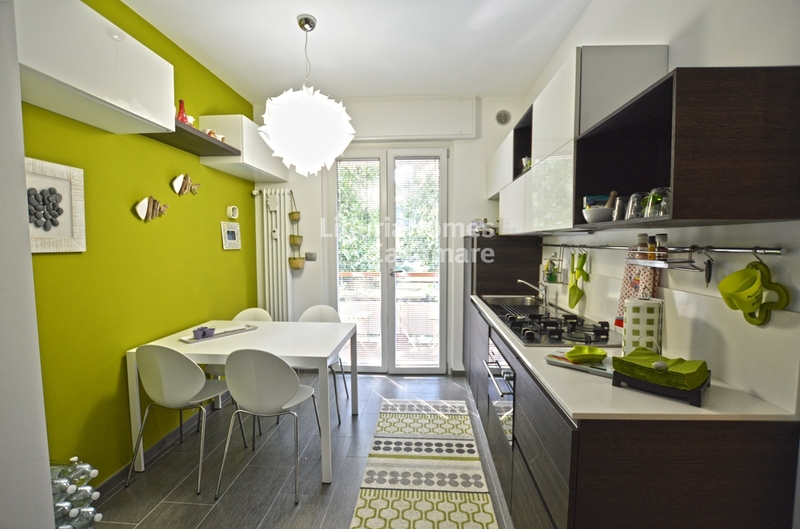 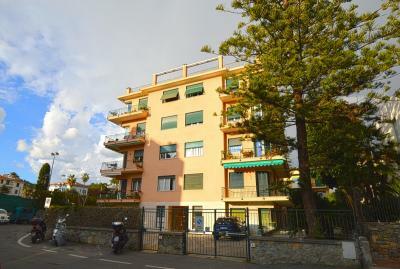 Bordighera renovated Apartment for Sale with terrace. At walking distance to the beaches of Bordighera, renovated and fully furnished Apartment for Sale in a lovely and green area with garage. 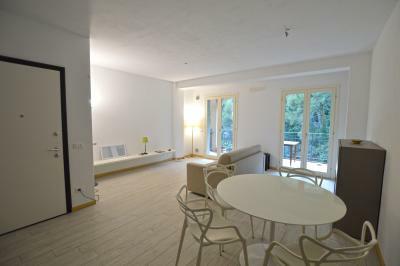 This sunny Apartment for Sale in Bordighera consists of: entrance, large living room with open kitchen with possibility to be independent thanks to a luxury floor to ceiling sliding glass door, double bedroom, bathroom, covered terrace and balcony. 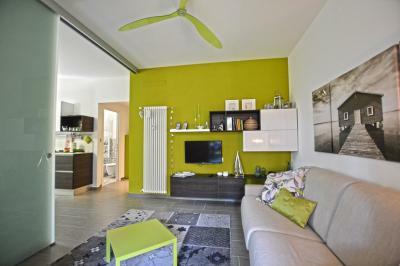 A wine cellar and a convenient garage for any kind of car are also included.